AffiliateBible.com » Dealer Dans Blog » TGIM: Clicktale! This isn’t just any Monday either – for most of us it’s a very special Monday. Because it’s most likely the last Monday any of us will be working in 2011! It’s the end of the year, and it’s the time where most people are starting to tune out for the year. You’ve looked at your to do list, realized there’s absolutely no way in hell you’re going to get everything done, and have narrowed it down to just a few things. Instead you’re looking towards 2012 already. You’re writing out your to do lists for 2012. You’re making goals and resolutions. 2012 is going to be the year of ___________(insert your name here). That’s great. It really is. It’s nice to have positivity, and I hope the majority of you take the next couple of weeks off. I know I am. I’ve got a few things to wrap up here work wise, then I’m going to take some time off for Christmas, recharge my batteries, with the aim of continuing to dominate in 2012. We’ve all heard the phrase – the early bird catches the worm. While everyone else is doing their boxing week shopping and relaxing at the end of the year, you can get one step ahead of them by starting your work early. One of those projects you’ve got planned in 2012? Start it on December 27th. Oh I’m not saying you need to work like a maniac then – but put a few hours in just to get the ball rolling on a new website or project. While your competitors are all sitting around relaxing, and dreaming about 2012 being their year – you’re getting one step ahead of them. When they’re shaking off the cobwebs and sitting down on January 3rd or 4th to just catch up on their e-mails – you’re already one massive step ahead of them. The whole January 1st/New Years Resolution thing is one of the biggest mistakes people make. Practically every resolution they make they are unable to get the ball rolling on Day 1. And then when they finally do start on January 3rd or 4th they’re already behind. Get that ball rolling a few days before – you’ll be surprised at how much better it makes you feel, knowing you’re ahead of everyone else. It’s a little mind trick – it’s like being given the gift of time. I lock myself away for a few hours on the 27th through 31st, and I find I’m at my most productive. Still haven’t bought it. Will be opening up every Christmas gift on December 25th praying that Skyrim is NOT one of the gifts because otherwise my whole “start work on December 27th” plan is shot to hell. But oh god I want it so bad. I’ve written about Clicktale before, but it really is a ridiculously awesome program. For those unaware – you slap some code onto your website, and then you can sit there and watch how every visitor interacts with your site. Actual videos, so you can see what they do. What they look at, where they scroll, where they click, what they skim, what they study, etc. 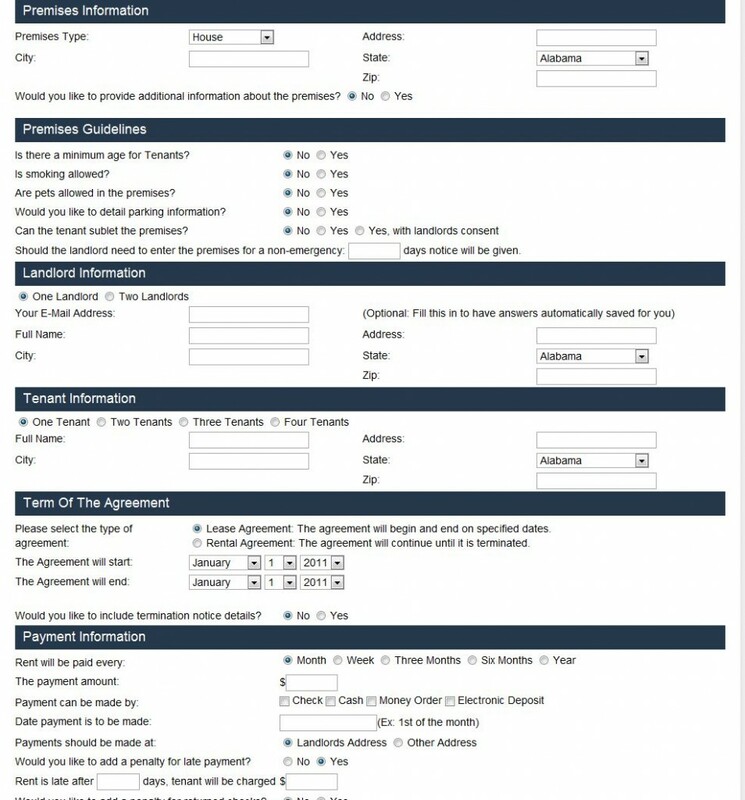 One of the projects I launched recently was DIY Landlord Forms. 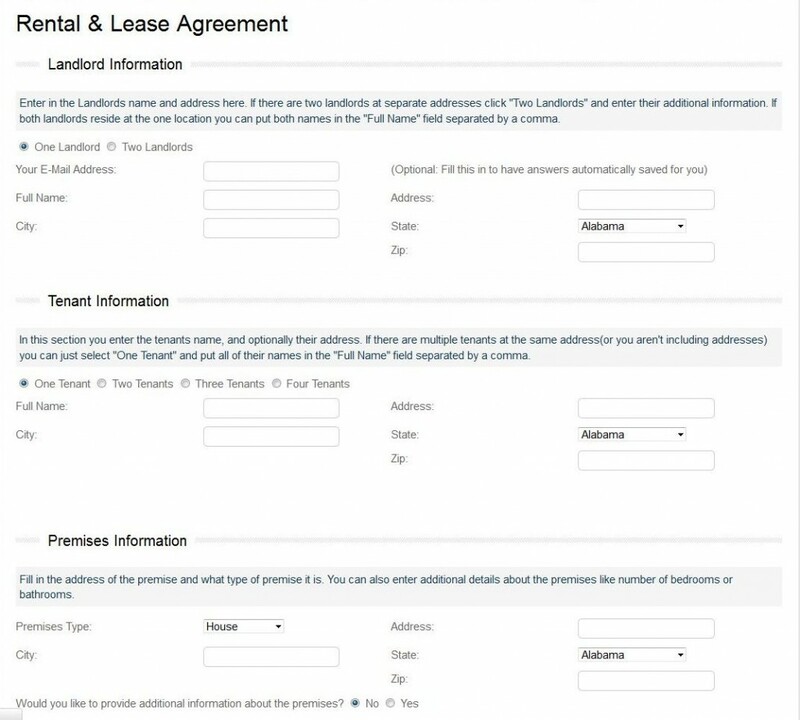 At it’s core, it’s a website where landlords can input data and generate legal forms like rental agreements and eviction notices. Rather than pay $250+ to go to a lawyer and get it done, they get the forms on our website for $20. Now I’m going to simplify the math here to get the point across. The majority of the traffic is from Google AdWords. Let’s say I need 1 in 20 sales to break-even. By that I mean for every 20 clicks that I purchase, I need 1 purchase to go through to break-even. The website has only been up about a month, and we’ve been profiting from the beginning, averaging 1 purchase for every 14 clicks. Now that’s great – profiting from the beginning was a huge surprise for us – however you can always do better. You can always improve. One thing that I focused on was installing Clicktale and then watching the videos. I wasn’t interested in the sales – but I was wanting to know why these 13 people weren’t purchasing, and what we could do to improve the user experience. What I do with Clicktale videos is simple – I get a notepad out and I start writing down everything a visitor does, and everything that I know about a visitor(Web browser etc) so I can see if any common pattern emerges. Sometimes it takes awhile, sometimes it clicks instantly. It took me a good 500+ videos before I noticed a common denominator – a large variety of visitors from our “money” keywords would visit the site, scroll down the rental agreement form(which was the landing page), then leave. Scroll all the way down(there’s a ton more than is shown in that screenshot), then leave. Once you have a common issue like that, you need to analyze all possible problems and then attempt to resolve those problems. For example – could it be that this wasn’t the form they were looking for? No that couldn’t be the case because the keywords they were searching for were exactly what that page is – a page where you can generate rental agreement forms. The next thing I started thinking about was whether the form was overwhelming due to the design. It’s laid out well, but there’s a lot of white space, and you have to scroll down a lot. It’s massive, and that can be overwhelming to people. Now we NEED all this information to generate the form. However what if we pull a little trick by redesigning the form? Make it look smaller, make it look more like a checklist style? As you can see from that one screenshot – both screenshots are the same size, yet there’s so much more information displayed, and so little scrolling needed. Now the data the user has to enter in is still exactly the same – but cosmetically we’ve given the impression that it’s a lot “easier” and a lot “quicker” to do. The result? We went from 1 sale every 14 click-thrus to 1 sale every 7 clickthrus. Just that one slight change – adjusting the CSS and some slight layout tweaks – doubled our sales overnight. We’ve now had the change for over 2 weeks, and the numbers are still as strong as ever. Analytics, Keyword Tools etc – all that stuff is great. It gives you a lot of information, and a lot of ideas for your website. But nothing will ever beat being able to sit there and watch the end-user actually navigate your website, seeing what they see, what they click, what grabs their attention etc. Imagine being able to look over the shoulder of all your potential traffic – that’s what you get to do with Clicktale. For 2012, resolve to purchase software like Clicktale, and spend at least an hour a day going through the videos and getting an idea of how you can further improve your websites. Have a great week guys. Do as little work as possible! This article was written on December 19, 2011 however all articles are looked at on a monthly basis and updated to keep them relevant.